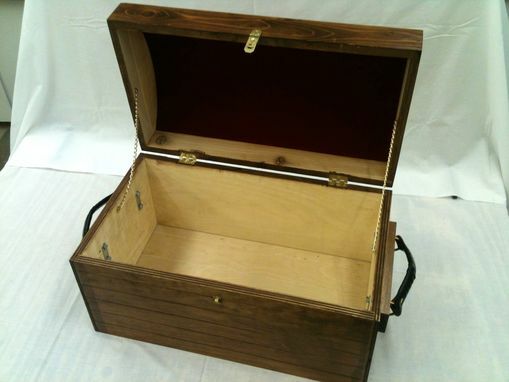 Made from knotty pine to resemble a pirate's treasure chest, these chests hold the favorite toys of the customer's children. 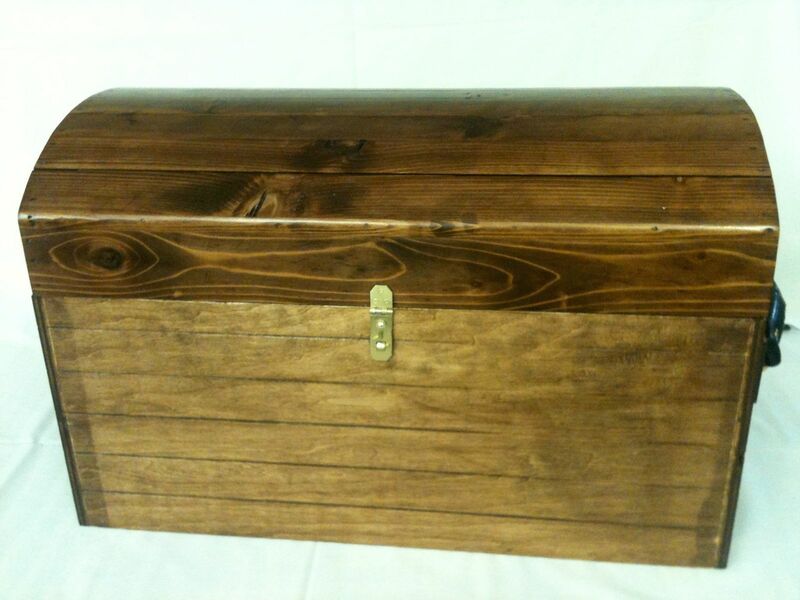 The underneath side of the lid is covered with dark red velvet and the handles were made from old leather belts. 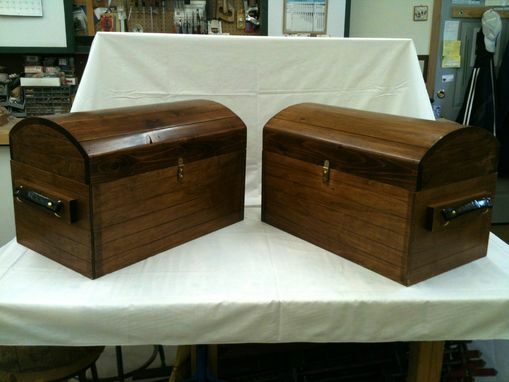 The chests were stained a dark walnut and given two (2) coats of a satin finish polyurethane. Dimensions: Approximately 16" deep x 30" long x 24" tall.